Description: New in box X-Werks coated Magpul OD Seekins Precision SP223 Billet stripped lower receiver multi cal. Includes Ambi bolt release. Don't see the color you're looking for? Let us know at the time of order and we'll get it done for you!! Photos 2 and 3 show some different colors recently done. Photo 4 shows from left to right - Magpul FDE, Troy Coyote Tan, Satin Aluminum and on the right Burnt Bronze. 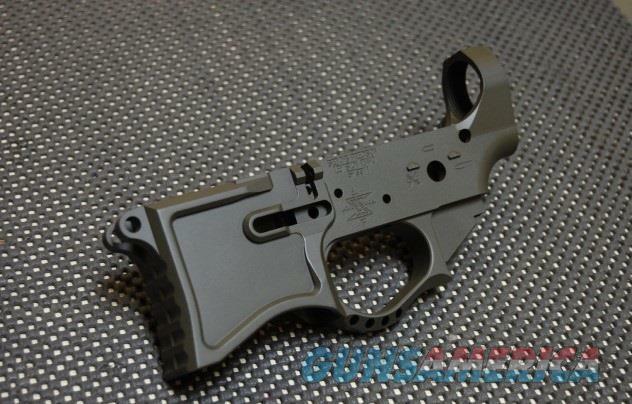 This listing if for 1 stripped lower and serial numbers will vary. Please allow 1-3 business days for items to ship once payment and FFL are received. Seller reserves the right to end this auction at anytime.